How Understanding Flocks, Schools and Colonies Can Make Us Better at Communicating, Decision Making and Getting Things Done. The modern world may be obsessed with speed and productivity, but twenty-first century humans actually have much to learn from the ancient instincts of swarms. A fascinating new take on the concept of collective intelligence and its colourful manifestations in some of our most complex problems, Smart Swarm introduces a compelling new understanding of the real experts on solving our own complex problems relating to such topics as business, politics, and technology. Based on extensive globe-trotting research, this lively tour from National Geographic reporter Peter Miller introduces thriving throngs of ant colonies, which have inspired computer programs for streamlining factory processes, telephone networks, and truck routes; termites, used in recent studies for climate-control solutions; schools of fish, on which the U.S. military modelled a team of robots; and many other examples of the wisdom to be gleaned about the behaviour of crowds-among critters and corporations alike. 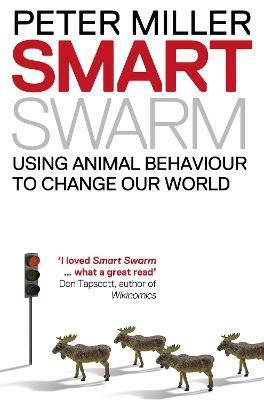 In the tradition of James Surowiecki's The Wisdom of Crowds and the innovative works of Malcolm Gladwell, Smart Swarm is an entertaining yet enlightening look at small-scale phenomena with big implications for us all. Peter Miller has been a writer and senior editor at National Geographic for over twenty-five years. He lives with his wife PJ in Reston, Virginia.